For patients who spend long stretches of time in bed, a proper pressure relief mattress is necessary to reduce the risk of pressure sore development. Likewise, for patients at risk of rolling or falling out of bed, further measures must be taken to ensure their safety. 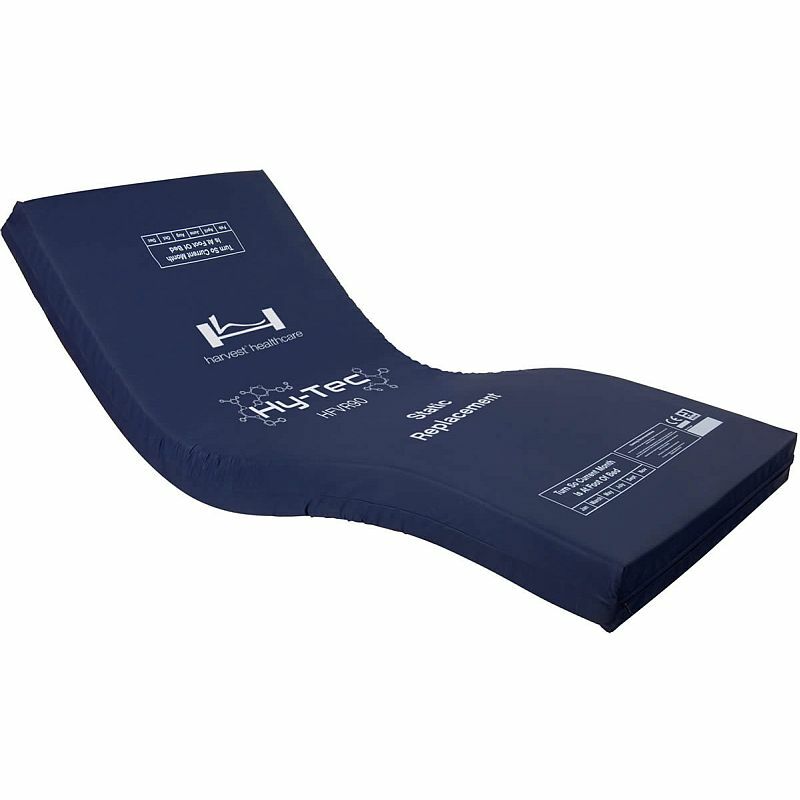 The Harvest Hy-Tec Roll Prevention Pressure Relief Foam Mattress is designed to solve both of these problems at once, with pressure relieving Viscofoam and a V-shaped interior to suit medium risk patients with the tendency to roll or fall out of bed. This mattress uses the pressure relieving qualities of Harvest's high-tech Viscofoam to provide adequate pressure relief and excellent comfort for patients at medium risk of developing pressure sores. Aside from being comfortable and pressure relieving, this foam is breathable, allowing air to pass through the mattress and preventing patients from overheating. For patients prone to rolling or falling out of bed, the internal structure of this foam mattress is designed into a V-shape, guarding against the user getting too close to the sides. A firm foam base and side walls enhance the stability of this mattress, allowing it to gently assist the user in staying to the middle of the mattress. Used with one of Harvest's low profiling beds, this mattress can greatly reduce the need for rails. Enhancing the cooling effect of the breathable foam mattress, this pressure relief system is topped with a vapour-permeable cover. This lets air through the mattress, keeping the user cool and free from sweat. 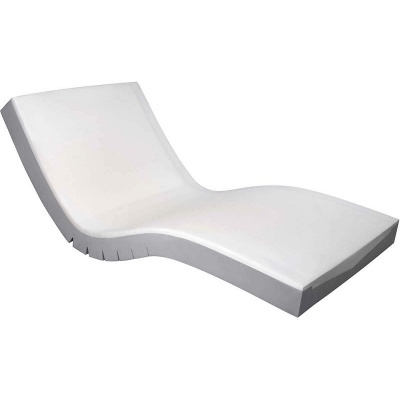 The cover is made with a two-way stretch waterproof fabric, protecting the mattress from fluids while enhancing comfort.